I love syrah. As such, whenever I get a lineup of syrah to taste, my excitement level ramps up. The grape is criminally underappreciated here in the United States, perhaps as a result of [yellow tail] being foisted on naive palates. That under-appreciation helps to keep prices down (for the most part) on domestic syrah, which pleases me to no end. 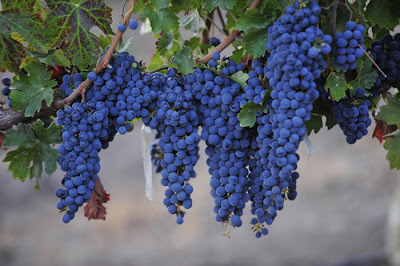 Considering how overpriced cabernet sauvignon and pinot noir are, finding refuge in syrah's intoxicating mix of ripe black fruit, dried herb, heady spices, and smooth tannin brings many a wine geek moments of sheer joy. There was even an "Occupy Syrah" day last year, which I wrote about while tasting some delicious wines. Here then are some domestic syrahs I was sent to sample. All are from California, and all were tasted blind first, then unmasked and re-tasted over the course of another day. 2009 Mandolin Syrah Central Coast: Aromas of wood, burnt match, ripe cherries, plums, and a sensation of alcoholic heat. As in the previous bottle of this I tried, I suspect there's a sulfides issue present. On the palate this syrah is somewhat thin and astringent, with none of the ripe, deep fruit character that I would expect. Rather, there's a simplistic red fruit that evaporates quickly. The acidity is nice but the overall impression I get is that of a hollow shell, or put more bluntly, a cheap wine. Disappointing, because the Central Coast of California can produce amazing syrah. 14.6% abv. $11 srp. 2008 Elizabeth Spencer Syrah "Special Cuvee" Sonoma Coast: A complex nose of fresh black fruit, molasses, baking spices, dried herbs, and wood are unfortunately held back by a subtle alcoholic burn. Still, I'd be lying if I denied that this syrah smells incredibly good. On the palate it's rich and mouth-coating, revealing flavors of blackberry, peppercorn, tar, and mocha. Chewy tannin give a wonderful structure to balance out the ripeness. The whole packages is closed out with an impressively long finish of herbs and dusty soil notes. I must say though, that I don't believe for one minute that this is truly 14.9% alcohol, I'd bet it's closer to 16.0%. $35 srp. 2006 James David Cellars Syrah Central Coast: Pours a very dark garnet, almost purple, in the glass. Aromas of Almond Joy candy, pencil lead, blackberry preserve, and fresh cut lumber. Definitely oaky, and there may be a an ethyl acetate issue forming due to the nail-polish remover burn. The palate is thin and drying, without much character other than alcoholic burn and grainy wood. With a listed alcohol of 15.7%, I suspect that could be a lot higher. I did notice the tannin, and if this wine had any lush, clean fruit flavors to show, that tannic structure would do a beautiful job creating balance. $N/A. 2005 James David Cellars Syrah Eaglepoint Ranch Mendocino: Pouring a much "redder" ruby into my glass, my first impressions of the bouquet were of garrigue and cherry preserves. There's a pleasant earthiness along with some nice mocha notes and a dollop of wood. There's some alcoholic heat too, but it isn't distracting. This style, for my palate, is what I love about California syrah. Balanced fruit, earth, and oak elements all play nicely together. There's some firm tannin at play, acting to nudge each element back into balance as they struggle to break out of the tannic pen. Red cherry and raspberry, herbs, and a dusty minerality compose a syrah I'd love to pair with a steak, or ribs. This 2006 is wearing its age with grace and class, as well as looking to improve with a few more years in bottle. 15.5% abv. $N/A. Maybe the title of this post should be "The Good, The Bad, & The Ugly". On the one hand, the Mandolin was disappointing to me, again, despite it's generally good reviews from Steve Heimoff and Bev-X. I could chalk it up to bottle variation though, especially at such a low price point. The 2006 James David was way too big and alcoholic for me, but if you're into lush, rich syrah you will love this one. On the other hand, the 2005 James David Eaglepoint Ranch was delicious despite the high-ish alcohol, as was the Elizabeth Spencer. Any of these wines would pair beautifully with grilled meat, pizza, lamb, lasagna, or on their own. 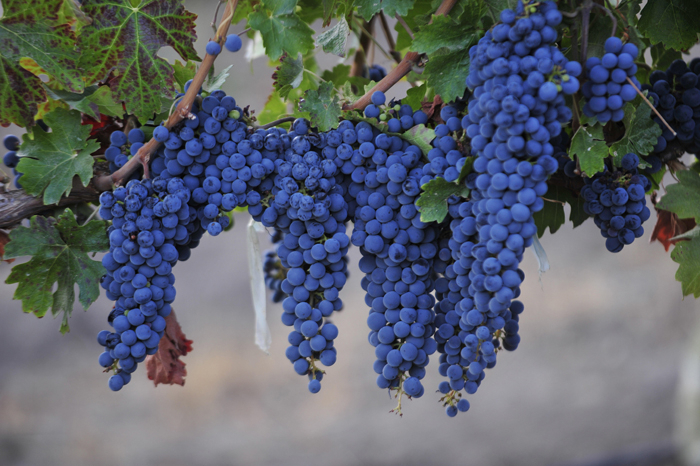 Despite being a full-bodied wine, syrah is versatile, and each of these wines does showcase a certain stylistic take on the grape. As we move closer to summer, I hope to offer more syrah reviews so please don't hesitate to recommend examples to me! These wines were media samples from their respective producers.